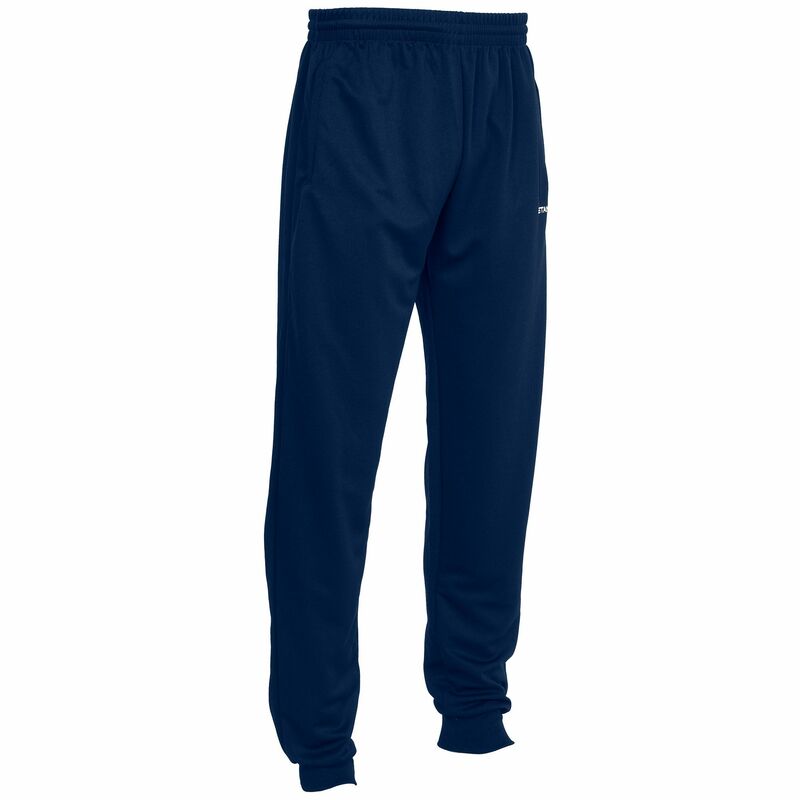 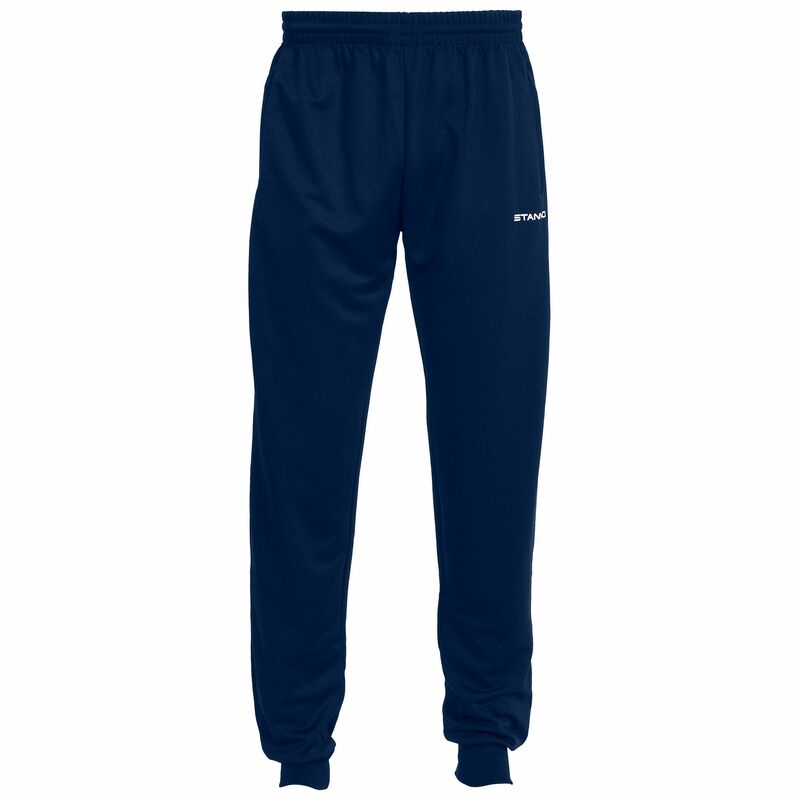 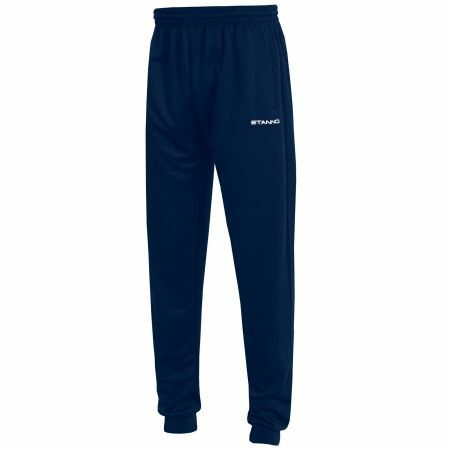 These neutral training pants, easily combinable with many items, are made of 100% polyester. This material feels comfortable and is durable. 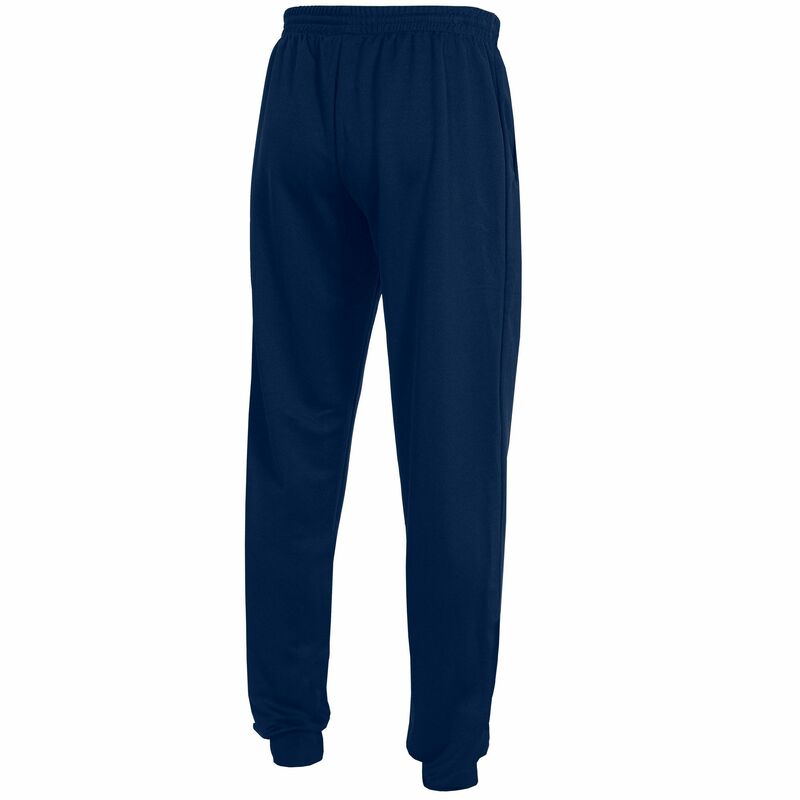 The pants have an elastic waistband with drawstring and two zip pockets. 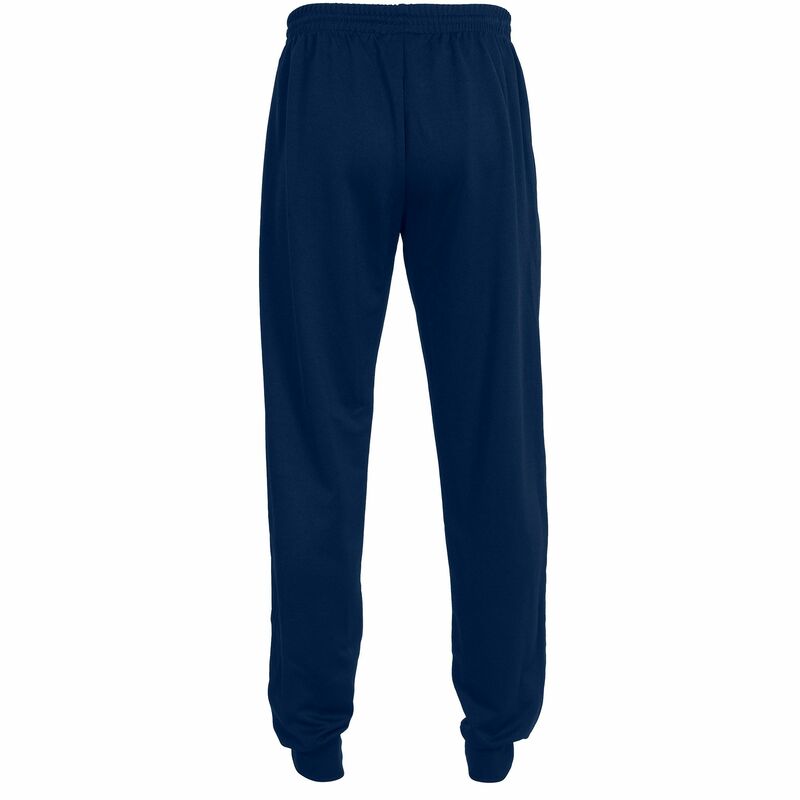 The legs have elastic cuffs to help keep the shape defined. 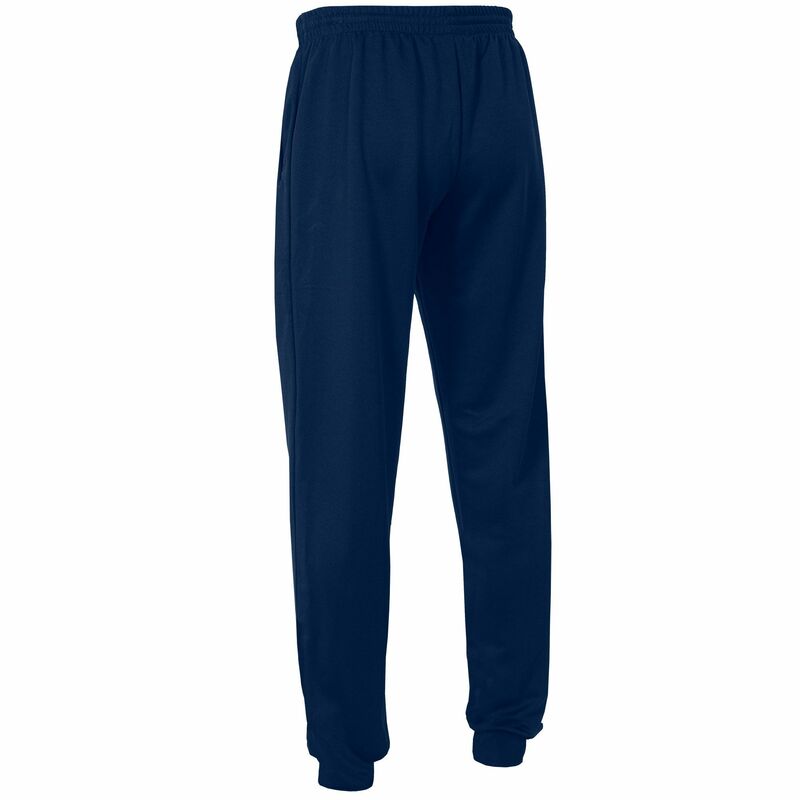 The pants have a regular fit.